Wanna know what makes my house smells g o o d? When I make hot fudge sauce. This is a long, drawn-out process, where I am bound to my stove top for a handful of hours.’Burnt’ can happen at any time. IF the jars are not sufficiently hot, and the sauce not just the right temperature, the lids won’t seal. BUT, it is so worth the effort! 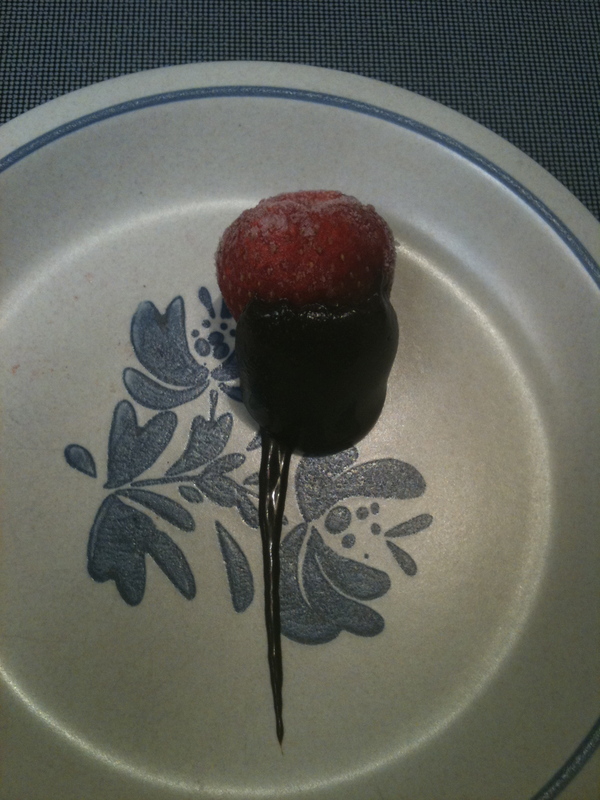 I have to admit, my hot fudge sauce recipe is stellar! I makes jars of it to give as ‘hostess’ gifts, birthday gifts, Christmas gifts, heck, I even used to sell it. But my sales were short-lived, as I had the ‘privilege’ of meeting a health inspector at one of my first ‘Farmer’s Markets’ … sigh, that too is a story for another time. But, I digress. Other than my kids I don’t share my hot fudge sauce recipe (and they really don’t give a rip about the recipe, because if they want hot fudge sauce, they just open the cupboard and pull out a jar). Although, now that I think of it, I did give it to a pregnant lady once. Who, in their right mind would ever say ‘no’ to a pregnant lady? Any of us who have been in those tight, water-retained feet-wearing shoes, know that whoever she is, she is not to be messed with. There’s the hormones, the stretch marks, the multiple mid-night (not midnight, but in the middle of the night … although a pregnant lady might see midnight in the middle of the night … sigh, I digress again), pee runs (ha! ha! that is funny … pee runs … oh the irony … I’m sitting here, alone, at 6:57am giggling like I’ve inhaled laughing gas … I digress again), digestion problems that lead to sounding like a sailor whenever you eat broccoli … hum, there’s enough material here to start a new blog entry … suffice it to say, she’s pregnant, who would ever say no to her, knowing what she is going through?! That said, I did have her promise, on the life of her unborn child (another area where pregnant ladies are rather … vulnerable), that she would NEVER share the recipe with anyone else 😉 … oh ya, I could have been a political negotiator! Learning to be thankful, to say thank-you, is a valuable life lesson. What we frequently omit teaching is that thanks is something that words are, sometimes, inadequate to express. 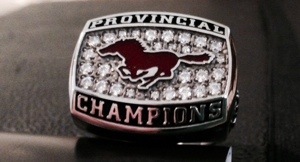 This past fall our son was fortunate to be part of a provincial championship football team. The team, which hubby was able to assist in coaching, was undefeated in the season and in playoffs. Once the championship was theirs, so were metals around their necks, plaques, and a pile of athletic wear, handed out at a banquet. The players also had the opportunity to purchase a honking big ring, to remember how their hard work, perseverance and tenacity payed off in being able to call themselves champions. he was part of a winning team! The cost of the rings was as significant as their size. My heart dropped when I saw the price, knowing that there was no way that we could budget such a ‘frivolous’ purchase. Hubby and I contemplated making it a Christmas/birthday gift … still over budget. Our son did not have that amount of money, either. Our son is our child who rarely asks for anything (other than ‘just a few more minutes’ on a video game), and so when he does ask, we know it is something he really desires. This weekend, months after the team hoisted the trophy of champions up into the air, our son awoke, and we handed to him a heavy jewelery store box. Again, his eyes were as a big as saucers. “You bought me a ring?” He asked in disbelief. Hubby then told him the story of how an (unnamed) parent had purchased it for him. They had noticed that Ben did not order a ring, and they wondered if the reason was financial, and, if so, could they purchase a ring for our son. His disbelief left him as speechless as it did us. And, as he attempts to put that lack of words into a thank-you note, he will learn that sometimes thanks seems inadequate for the gift that was given. And it is not just our son who is speechless, but hubby and I as well. I believe that there are blessings and curses in life, and that they often co-exist in the same event. That is the case for what I have been pondering for a number of days. Our son had the privilege of going on a three night, four day school sailing trip. It is an annual trip for grade eight students at our school, and one which does not fail to impress, and live in the memories of it’s participants each year, and for years to come. I was eager to re-unite with our son when he returned, to hear his stories of hilarity and memories made. To hear the stories that will go on, and even expand, as the years go by. I smiled, because it is always nice to have a teacher tell you anything that is not negative … I am more accustomed to hearing, “your son did not do his homework” or “your son is falling behind in …” But the words of my son’s teacher were positive words … right? Those words have been haunting me ever since. My mother-in-law knew and understood the risks of leadership. She understood that to be a leader (any leader, in any area) is to live a life of high (pedestal) expectations and opens the door to much heartache. She understood that leadership is not necessarily the best future, she understood that leadership requires followers, and that followers can be … fickle. I now understand why my mother-in-law wished something else for the future of her son, because I wish similarly for my son. I do not wish for him to grow up as a leader …feeling the responsibilities and expectations of others. I do not wish for people to follow him … it adds such weight to the walk. I do not wish for him to lead … what if he leads in the wrong direction? I do not wish for him to be in the front … in the open one can be so vulnerable to being taken down by the enemy. and that I, as his mother, would pray for him without ceasing. As I arise on this final day of a two week long break, I open my eyes to all that has been accomplished, as well as all that has not been completed. Two weeks away from work, away from school, commitments, pressures and deadlines will end tomorrow (Monday) morning when the alarm rudely rings at 5:55am. It has been a time of celebrating, both Christmas and New Years. It has been a time of cocooning within our own four walls, with times spent with friends, and times spent with only our Fab 5. It has been at time of intense cleaning, purging and sharing of our stuff with others. It has been a good time. As the two weeks of celebration and relaxation come to a close, as the New Year is barely underway, thankfulness fills every part of my being. It has truly been a blessed break. Time is a gift that is so sweet, so very, very sweet. It is something we all have, although often is short supply. It is something that we love to give, something that we give grudgingly. It is something we either have too much of, or not enough, and never the right amount at the exact time we need or want it most. When our children are young and demanding we desire more time for ourselves, more time away from our children. When we grow old we desire most to spend our time with our children, we dream of the days when the demands tired us, we regret that the busy years are gone. I regret the end of this time of break, yet I have lived long enough to know that I am blessed to have been given the gift of this time. I was also blessed to have been away of the gift that is was before the break began, resulting in a return to work with less regrets and more sweet memories to take into this work week, and new year. Christmas break 2012, and Christmas itself, has been the sweetest Christmas in my memory. I will leave this house, and separate from hubby and the kids with delightful memories to sit back and ponder with great thanksgiving. … yet there is so much to be, if I can appreciate every day in this intentional, thankful heart of blessing of the gift that this time is for me, for we. For about a week or more I have been stalked, but not by a vicious serial killer. I have been stalked by a word, the word mercy. It has been everywhere; in the songs I’ve heard, in the messages shared, in the verses I have read. Mercy has been quietly creeping up in my life, subtly (or maybe not so subtly) forcing my awareness of it’s presence in my life. Communicating to me that I need to pay attention to whatever message it has for me. Generally mercy means that one who deserves punishment is given the gift of not receiving that punishment. This freedom is unmerited, undeserved, and it is freely (not forcefully) given. It is an action on the part of the merciful, not a feeling or emotion. When one asks of mercy from another, they ask knowing that they do not deserve it, but also knowing that the one they ask is fully able to give it, fully. When one gives mercy, they do so not out of ‘feeling’ sad, or compassion for the other, but they grant mercy because it is what is asked of them. The act of requesting mercy is a humble one, the act of giving mercy is an equally humbling one. I am not exactly sure why it is that mercy has been stalking me. Usually when a message is delivered to me in this way my reception of the message comes when I already know why it has come, or it comes as I become aware of the lesson I need to learn, or the message I need to learn. I am not sure whether this message of mercy is to prompt me to be merciful or if I might be the one crying for mercy from another. Whatever the case, even as odd as it seems, I know where this message has come from, and I know that this messenger is always trustworthy and timely. So, here I sit unwrapping this gift, and holding it close for the day the I will need to make use of it. Monday morning in staff devotions, a teacher shared a story called Serpent, by Joan McCarthy (from a publication called Pro Rege, December, 1997), and I loved it! Then, two days later that same teacher read it again, this time in devotion time to his class, and I loved it more! Serpent sinuously slips unseen and smiling through the grass with eyes narrowed to cruel slits. It has heard the cry of pain and rejoices. On its belly it slithers silently to a low tree and peers at the woman who lies curled beneath the branches. Fear and pain are on her dirt streaked face, and sweat gives a sheen to her skin in the light of early dawn. She moans. Serpent tingles with delighted anticipation and moves up the trunk of the tree and on to a branch to watch with eager, glittering eyes. Eve’s body jerks at the sound. She recoils in recognition and struggles to push herself away, but the tree trunk blocks her. “Not you. Not now, ” she whispers through clenched teeth. Her whole body begins to tremble before Serpent’s icy stare. Serpent draws back to watch with a satisfied smirk as Eve’s body convulses once again. Her hands tear at the swollen belly. But, this time, no sound escapes her lips. But Adam pays him no heed. With his eyes fixed on Eve’s, he goes to her. He cradles he in his arms. With gentleness he wipes her brow and holds her through her pain. Suddenly Eve gives a great cry and Serpent sees her drew something from her own body. Its eyes widen in horror. Eve has not died. She has brought forth a new creature, small and wet and shining in the growing light. But the crying hushes. Adam, his face full of wonder as he tries to name what he has seen, has broken a large leaf from a nearby tree and brought it to Eve. She covers the man child with it and cradles him to her body. All that can be seen is the kicking of tiny heels. A smile of triumph flickers across Serpent’s face and then suddenly dies. A shiver runs along its body, and it quickly lowers it head and slides silently away through the dust. We have gone out for the day, the whole day. We will not call, or text or contact you. (oh, and did you catch the reference to the Princess Bride? “as you wish” … a little romantic reference always makes me happier). What happens next is a bit of the Tom Cruise dance from the movie Risky Business, and Kevin from Home Alone eating way too much ice cream. After the initial euphoria is spent on dancing in my underwear (T. M. I … too much information!) and eating ice cream for breakfast I would spread myself across the sofa and smile my biggest Cheshire Cat smile … and smile a contented sigh. Hey, it is not that I do not love my family, or that I would wish them away. They are four of the best pieces of my life! It is just that once in a while, the thought of being home alone is simply so very delectable to me. The thought of having every waking hour, all to myself, with no expectations of anyone else, just about makes me want to burst with excitement. And what would I do with all of those hours alone to myself? Well, after the dancing and eating of ice cream … I would probably write a blog post or two (because I love it) … make my bed (because it is my habit) … clean the bathroom (because it needs to be done) … make cookies (because hubby and the kids would love to come home to them) … finish a project or two (because there is always a project or two that is undone in our home) … and weed the garden (because there is just never any desire to do it when others are home). Hum, other than the dancing and ice cream eating, it really looks like a pretty normal day … but, I desire it so much!